If there’s one thing I’ve learned about makeup in the past couple of years, it’s the importance of primer. Primer is definitely a personal preference, based on your skin type, what foundation you’re using, the longevity your foundation is aiming for, etc. I happen to lean more toward the silicone primers, but I know a lot of people don’t like the silicone-based one. I decided to try out a drugstore primer. 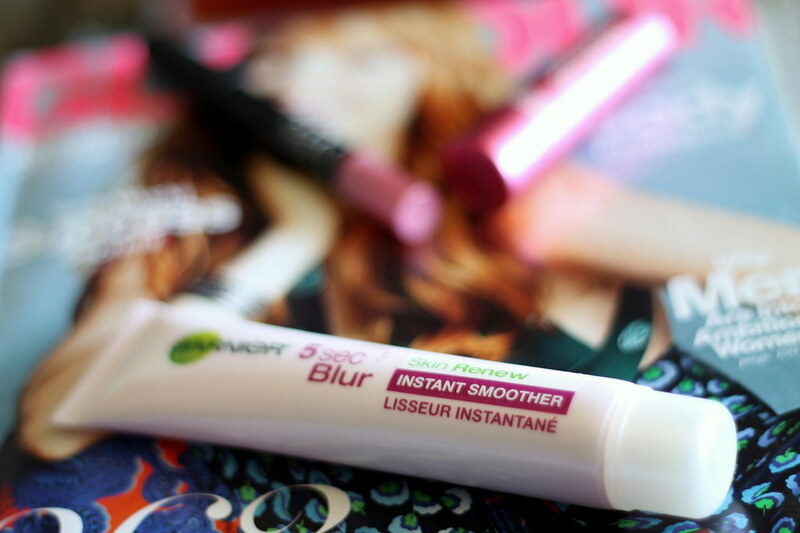 Enter Garnier Skin Renew 5 Second Blur Instant Smoother. This primer is truly amazing. I like to use it under my eyes to give my undereye conceal some longevity and to keep it crease-free. I also prefer to use it on my cheeks under my everyday foundation (not necessarily on my T-zone, as the primer doesn’t do much in preventing oil). The ultimate combination, though? I like to use it on weekends all over my face and layer it under my It Cosmetics Your Skin But Better CC Cream with SPF 50+. Killer, miracle combo. Have you tried this primer before? I’d love to hear your thoughts!